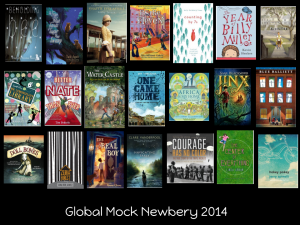 The Global Mock Newbery Blog | Where kids choice counts! 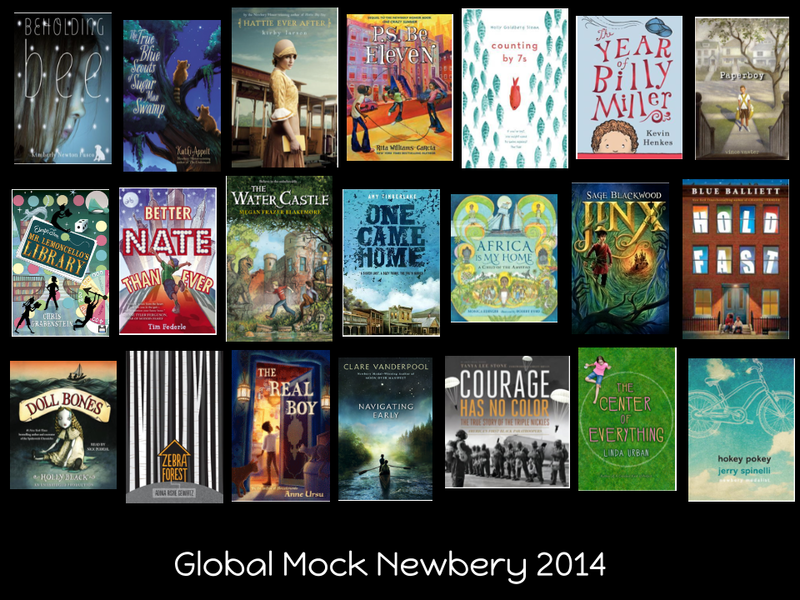 To participate in the Global Mock Newbery, simply follow the 4 Easy Steps below, and let your voice be heard! the book you’re commenting on! Each book listed above has it’s own blog post on this blog. You’ll be adding your comment, (book review), as a comment to the book’s blog post. You may search for the book’s blog post by typing the title in the search box on the right side of this page or by clicking on the hyper-linked title in the list above. You may base your comments on the following criteria, which resembles what the Newbery Committee considers. Interest – was the book interesting, did it keep your interest? Characters – were the characters well developed? Did they feel real? Plot – how was the pacing? Think about the sequence of events – predictable or surprising? Setting – how effective was the author at immersing you in the book’s setting? Facts– was information included accurate, clear and organized? Originality – does this book remind you of another book you know? Or, is the story original? Theme-was there a clear and meaningful theme or underlying concept? Remember that good writers back up opinions with evidence. I think_______because_______ statements are a great way to start. If the book you read meets all elements above, it should theoretically receive 7 Stars in your review. If it meets only 4 of the elements it should receive 4. However, there’s definite leeway in this system. For example, sometimes a book meets all 7 elements, but you still don’t think it deserves 7 stars; or sometimes a book is missing a couple elements, but it still felt complete or even perfect. We realize that being completely objective about a book is difficult, so our advice is do your best, and go with your gut! At the end of your comment, tell us how many stars the book deserve. Simply write “2 Stars” or “5 Stars” etc! 4) Credit yourself for your participation! First name and last initial is fine, but we’d especially love to know where you’re from (Class, School, City, State, Country) and how old you are. I hope you enjoy this experience of reading together! Looking forward to this for my 4th graders as well! AM VERY EXCITED TO JOIN THIS PROJECT WITH MY 4TH GRADERS! These factors are helpful to discuss in your book review also!